How can a crowded, polluted, and often grid-locked city like London persuade people to get on their bikes? A pioneering piece of joined up thinking from what if: projects and the London Borough of Waltham Forest shows the way. London’s mayor has announced a target of 80% of all journeys to be made by walking, cycling and public transport. That is hugely ambitious for a city where, according to current estimates, only 2% of all journeys are made by bike. But the London Borough of Waltham Forest together with what if: projects are doing more than most to get us closer to that goal. 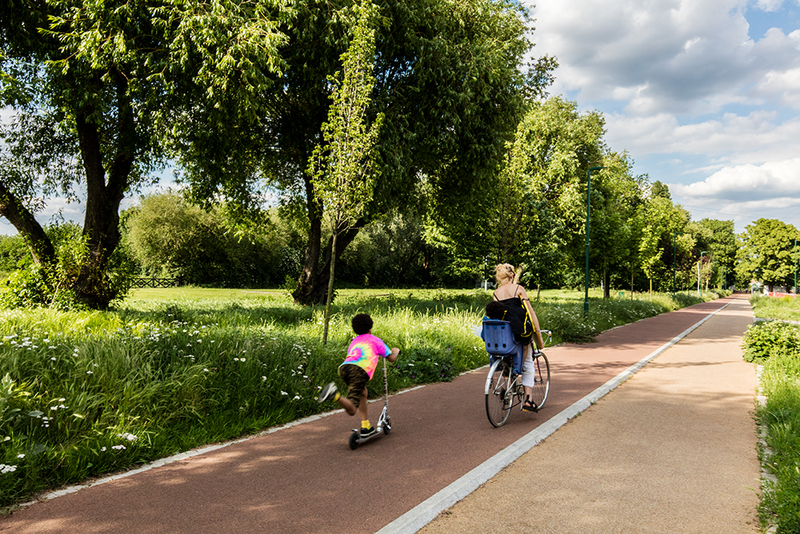 In 2014, it was one of three London boroughs to win Transport for London funding and together with what if: projects started creating ‘mini-Holland’ cycle-friendly zones – a series of visionary proposals of gentle but joined up interventions. The Mini Holland cycling program aims to radically improve Waltham Forest’s cycling infrastructure and support a step change in the numbers of local people choosing to cycle. By treating streets as places and generating a wider conversation with the community, the design team aim to affect a cultural shift in how the borough’s spaces are lived, experienced and traversed. Mini Holland interventions are focused on re-balancing mayor transport corridors and traffic-choked neighbourhoods into environments adjusted around pedestrians, bicycles and green infrastructure. The whole streetscape is treated as a unified piece of design to create coherent and calm environments where highway engineering is integrated with the public realm. Distinctive red cycle lanes in both directions and a new cycle bridge on Lea Bridge Road. Painted white, in the tradition of white garden bridges, it features integrated signage and lighting, and spans the former aqueduct that crossed below Lea Bridge Road, linking pedestrians and cyclists with the Lee Valley Park, a recreational and green corridor. Creating ‘Copenhagen’ crossings, which give priority to pedestrians at junctions. 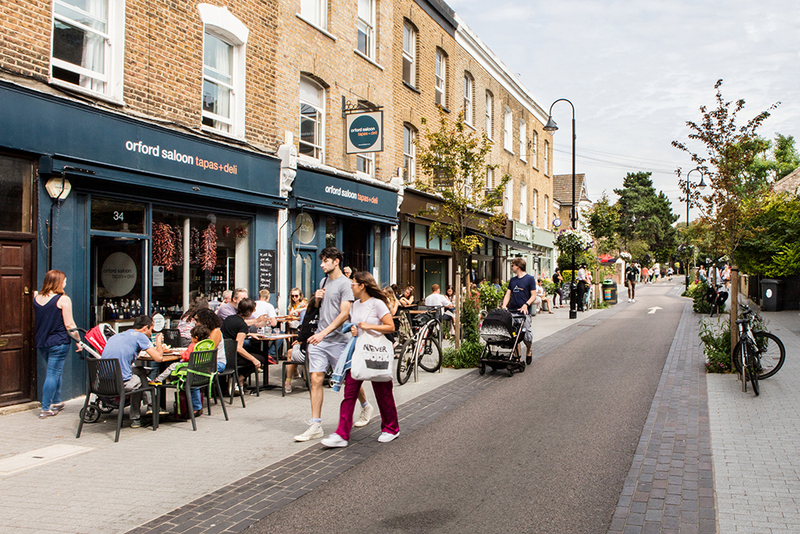 In 2015 the Mini Holland pilot project Orford Road was transformed from a traffic-dominated high street into a popular shared-space and cycle street.The scheme creates an environment that allows commercial activities to flourish while enhancing the character of the street and is complemented by a new square and a number of modal filters that facilitated new shared spaces at street corners and en route to local schools. A number of school route improvements were implemented in 2016 creating segregated cycle lanes alongside resurfaced paving, playful objects, greening and bike parking. At Stoneydown School qualities of the adjacent park including a raingarden and woodland area were extended to the entrance of the school and into the public realm of Pretoria Avenue. Landscaping improvements along pavements on Lea Bridge Road and in the villages create soft barriers between pavement, cycle lane and road users; this makes the whole area more appealing for pedestrians and links harder suburban streetscapes to the natural landscapes of nearby Walthamstow and Hackney marshes and Epping Forest. Local residents, shop keepers, Friends Groups and schools who were involved with the planting have been critical to the continued upkeep of the new wildlife areas implemented across the Walthamstow Villages. Doubling up the functionality of street furniture and signage. For example, along Orford Road and East And West Avenue Bridge, what if: projects re-designed the public realm with bollards, which also function as signage, or playful objects for kids to climb on, or seating. The scheme’s health and economic benefits to the community are massive. People are now reportedly cycling more, walking more and breathing in fewer fumes. 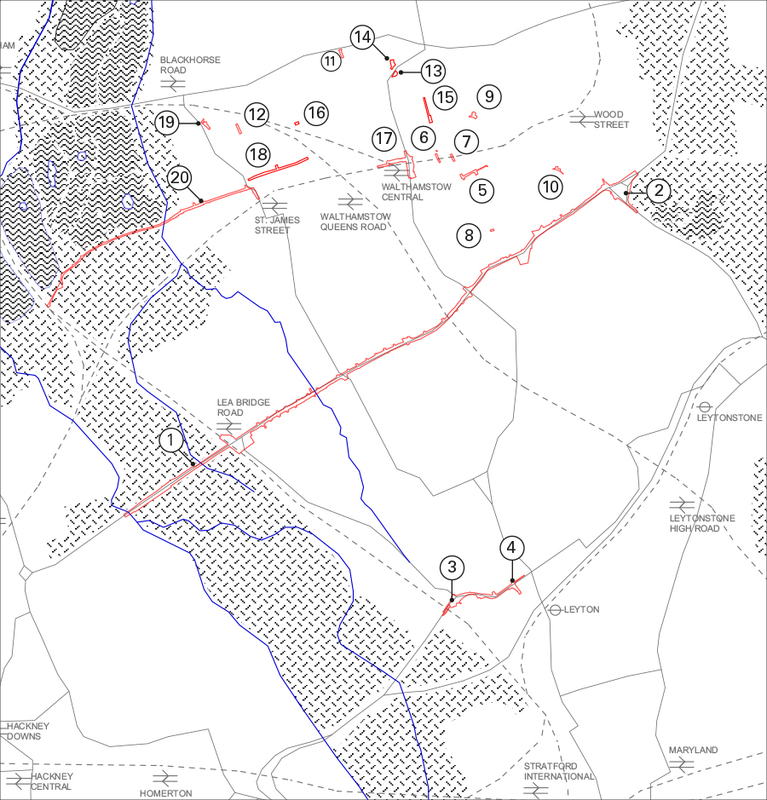 • Traffic reduced by 58% in the Walthamstow villages and borough wide by 16%. • 40% more cyclist on Lea Bridge Road – 14% of all traffic. • 5% more local residents cycle now than the year before – equals 13,600 more cyclists in Waltham Forest. 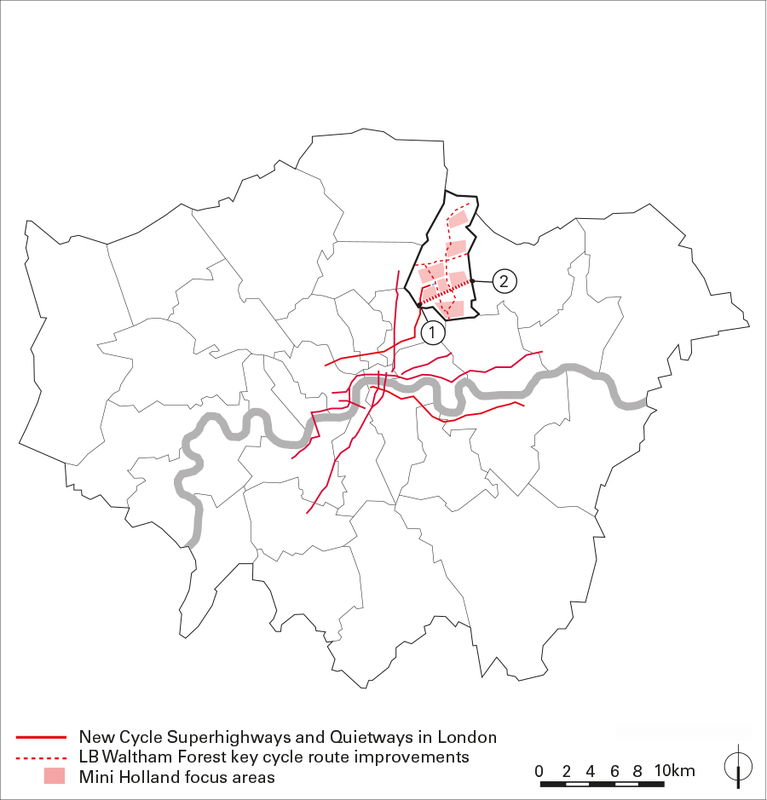 • Waltham Forest is the only outer London borough where people walk and cycle more than they drive. • Since Mini Holland and the associated bike-training program, more children cycle. • On Orford Road commercial units are filled for the first time in 15 years, cafés spill out onto the pavement and the street with its new village square has become a destination. • Residents, shopkeepers and schools are involved with maintenance of new green spaces and trees in the Walthamstow Villages.